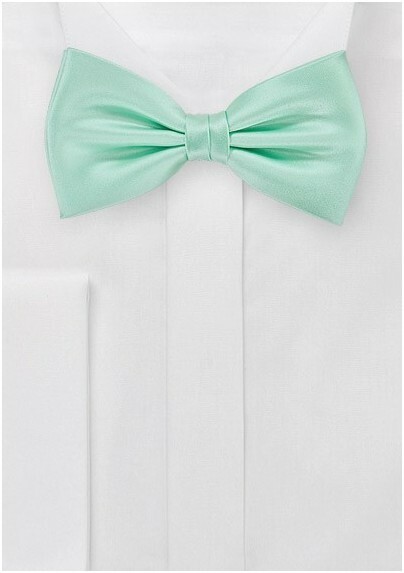 This charming Pale Mint Bow Tie is just the ticket for formal menswear style. 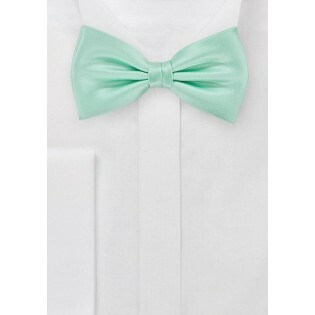 Its pastel green hue is finished in a lustrous sheen and silky smooth texture. Made by Cantucci, this tie comes with a pre-tied bow and easily adjustable neck strap for no-fuss dressing. Also available in a matching pocket square by Cantucci. Jacquard woven from microfiber.